Authorities have released the identity of the man who received an injury to his hand while allegedly making explosives. POLK COUNTY -- Authorities have announced the identity of the man who received an injury to his hand while allegedly making explosives. The Polk County Sheriff's Office said that the man is identified as 50-year-old Eric Kenneth Schueller, of 2776 Evergreen Avenue, St. Croix Falls, Wisconsin. POLK COUNTY -- The Polk County Sheriff's Office has issued a press release regarding an incident after receiving a call about a man having his hand blown off while possibly making explosives. (Press Release) -- On Tuesday, December 4th, 2018, at 8:15 pm the Polk County Sheriff’s Office Dispatch Center received a call of a male who received an injury to his hand. It was reported that the male involved in this incident had “blown his hand off” while possibly making explosives. Upon arrival to the rural Sterling Township residence, Deputies found the male with injuries consistent with the information they had been given. The male had serious/life threatening injuries to his hand and the injuries appeared to be consistent with the manner of explosive contact. The male also appeared to have burns to other parts of his body. Due to the seriousness of the injuries, Cushing Fire and First Responders were called to the scene. It was determined to summon Life Link air ambulance to report directly to the scene. The male was later flown to the Regions Hospital for care for his injuries. The male’s present medical condition is unknown. During the response, Deputies identified chemicals inside the residence which were suspicious. 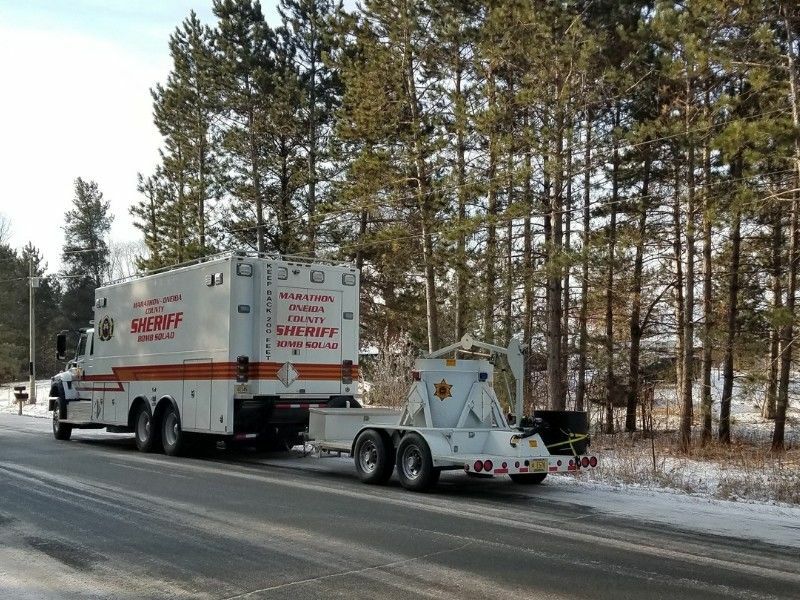 After securing the residence and surrounding area, the Marathon - Oneida County Bomb Squad was requested to assist in containing the explosives. Bomb technicians stated there were chemicals located inside and outside of the residence that alone were stable, however when mixed together, would produce explosive material. Bomb technicians collected the chemicals and processed the scene. Assisting with incident were the Cushing Fire and First Responders, the Lakes Area Ambulance, the Life Link air ambulance the Marathon – Oneida County Bomb Squad, and the Federal Bureau of Investigation. This matter will be further investigated by the Polk County Sheriff’s Office and assisting agencies.